A fun evening in the park for the whole family. Kids "trick or treat" around the track at Penn-Vassar park and collect candy from decorated treat stations. 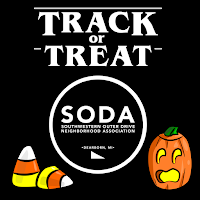 You do not have to be a SODA member to have a treat station or volunteer. Loose leaf collection begins this week. Put your leaves in paper yard waste bags or proper containers for curbside pickup every week. Collection of leaves that are raked into the street is scheduled to begin the week of Oct. 24 and end the week of Nov. 28, with the last pick up on Friday, Dec. 2. Weather conditions may alter that timeline. Leaves raked into the street are not picked up every week. Crews aim for two pickups during the season in every neighborhood. Leaves in the street will be picked up on non-recycling weeks, starting on Oct. 24 in “B” districts. Member Raffle - Free for any paid Regular Members in attendance. Attendance Raffle - Free for ANYONE in attendance. Yes, Sally, there is a Great Pumpkin! But don't miss out on Trick-or-Treating! Track-or-Treat has become a huge success with last year attracting over 500 people. But Track-or-Treat is just and extra fun event to get the neighborhood and families out together. Trick-or-Treating is definitely happening on Halloween! Later in the evening (or even earlier) you may see a car load of kids come around. It's OK. Not every neighborhood does Trick-or-Treating, and/or not every neighborhood is a place where kids can feel safe. Be happy that these families are out enjoying Halloween together, and take pride in the fact that our neighborhood is a safe place for them to enjoy it. The group of almost adult, half costumed, pillow case carrying teens; they know their childhood is almost over, don't make them feel worse for it. Give them a piece of candy with a smile. They will all to soon be an adult, let them have some fun while they still can. 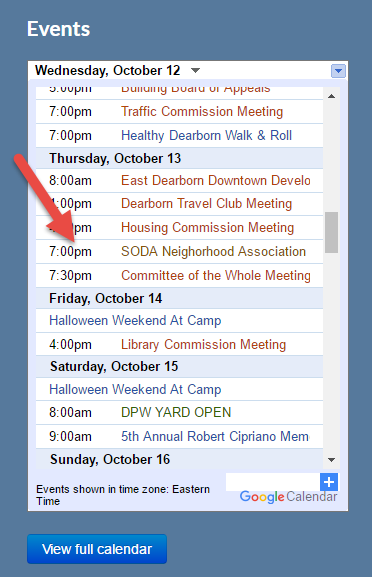 Smartasset.com recently ranked the City of Dearborn 8th in the entire nation for the Best Places To Trick-Or-Treat. 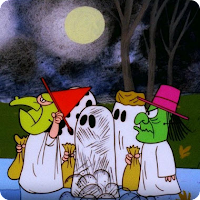 While some of that ranking was due to "Hallowe'en in Greenfield Village", it should not be overlooked that it's also due to the many houses that give out candy, the short distances kids have to travel, and community safety. Parents should help their children pick out a costume that will be safe. The costumes should be fire resistant, masks should have eyeholes large enough to allow for good peripheral vision and the costume should allow free movement. If your child will be carrying a prop such as a pitchfork or sword make sure the tips are flexible enough to not cause injury if fallen on. Of course, never carry real weapons of any kind. If you set jack-o-lanterns on your porch with candles in them, make sure that they are far enough out of the way so that children’s costumes will not accidentally be set on fire. Better yet, use battery operated pumpkin lights. Make sure you know the route your children will be taking for trick or treating, if you are not going with them. The best bet is to make sure that an adult is going with the children during trick or treating. If you cannot go with your child see if another parent or a teenage sibling can. Children should stay together as a group if going trick or treating without an adult. Make sure your child carries a flashlight, glow stick or has reflective tape on their costume to make them more visible to cars. Tell your children to only cross streets at cross walks. Instruct your children never to go into the home of a stranger or get into their car. Make sure you set a time for your children to be home and stress the importance for them to be home at that time. Finally, instruct your children not to eat any treats until they bring them home to be examined by you. Halloween is one of my personal favorites, and as my birthday is only 4 days before Halloween it has always felt like an extended birthday party. Although I may not dress up and go out tricking for treats anymore, I still enjoy taking my own kids around on the 31st and decorating our home for the fun frightful night. 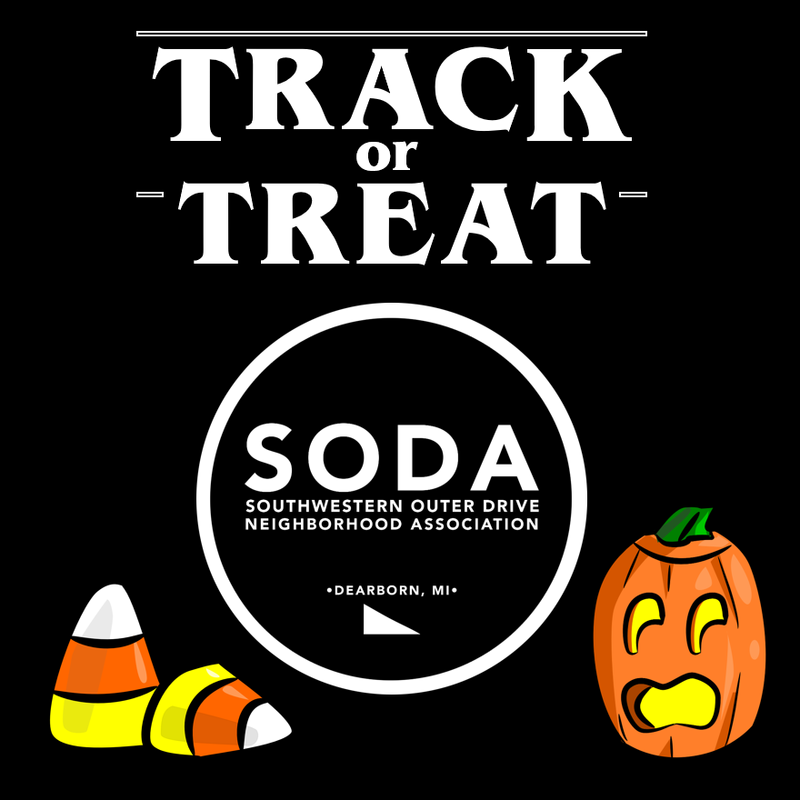 More and more residents in the neighborhood are decorating their houses for Halloween, and SODA will be announcing decoration awards at our November 10th General Meeting for the best Halloween decorations. have a safe and fun time Trick-or-Treating! 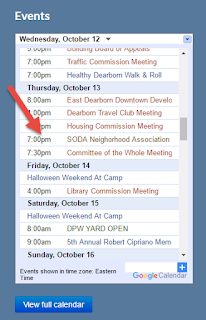 SODA meetings and events can now be found on the City of Dearborn Calendar! 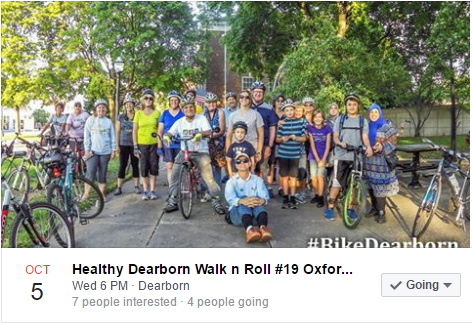 Ok SODA Walkers and Rollers, one more try in our neighborhood. The weather looks like it will be perfect! Meet 5:45 pm - Roll/Walk 6:00 pm. Please note the earlier start time due to it getting dark sooner.